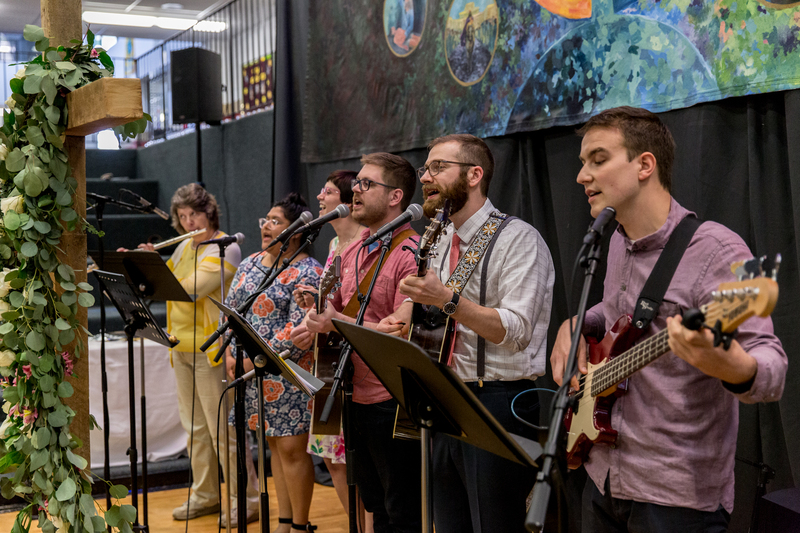 Worship at Immanuel Anglican Church combines the friendly informality you might expect from a church that meets in a public high school with the grace and beauty of Christian rituals that date back thousands of years. 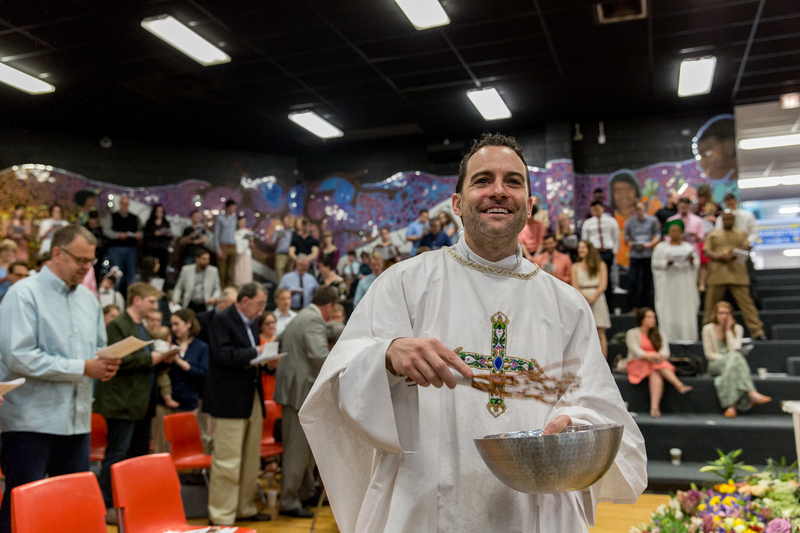 The service is led by our Rector (head pastor), Father Aaron Damiani, with many lay leaders—men, women, and even children—actively taking part in proclaiming Scriptures and leading prayers. 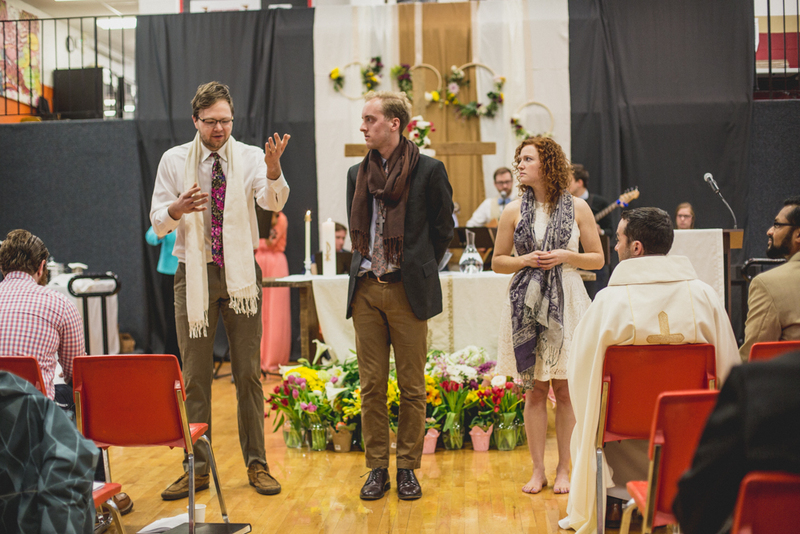 Anglicans view worship as “a work of the people,” so the service is highly participatory. A detailed Order of Service is provided so that everyone may join in worship as much or as little as he or she is comfortable. We meet for worship every Sunday at 9:00AM and 11:00AM at 900 W Wilson Ave in Chicago’s Uptown neighborhood. 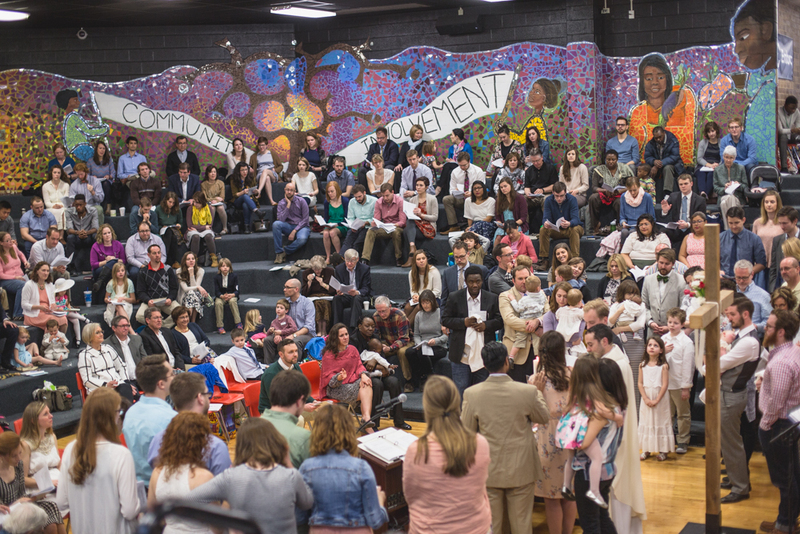 Our congregation includes Uptowners as well as folks from neighborhoods across Chicago. Immanuel Anglican is located three blocks east of the Wilson stop on CTA’s Red Line and just a few seconds’ drive from Lake Shore Drive. Our Children’s Ministry is available during the 9:00AM service. 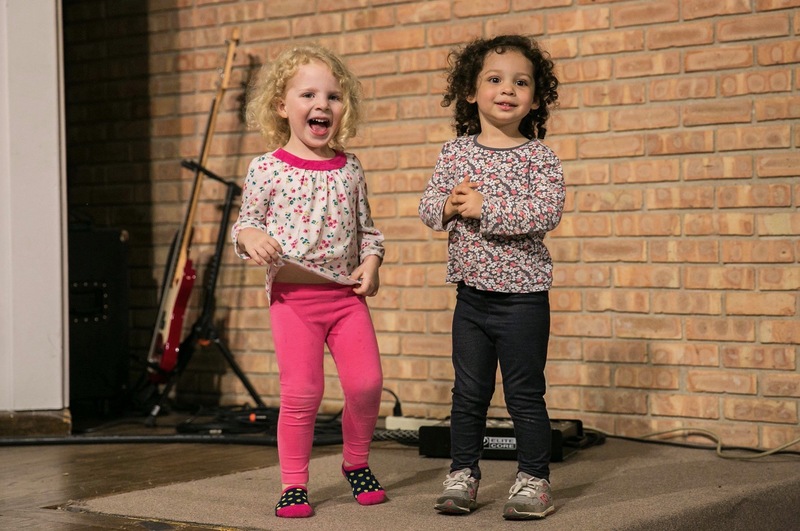 Nursery and Children’s Chapel serve kids from birth through sixth grade throughout the first half of the service. In the second half of the service, all kids join their parents or caregivers for Holy Communion (though children are always welcome to be with their families for the entire service if desired). We hope that if you haven’t joined us for a service yet, you will soon. We love visitors! We gather every Sunday morning at Uplift High School. There is lots of free parking in the school’s parking lot on the East side of the building. From the parking lot there are signs that will guide you to the correct entrance and a warm welcome. Our sanctuary is a tiered, amphitheater-like space. Each week a team of volunteers transforms the space into a place of worship with a cross, altar, and decorative banners. Our kids program seeks to provide our children with an engaging worship experience that teaches them truths about Jesus and the Scriptures. 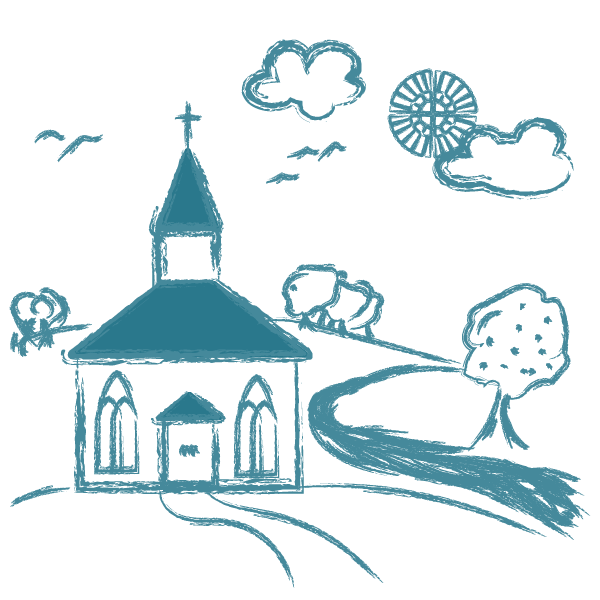 We offer a children’s worship service during the first half of our 9AM service each week. About half-way through the main service the kids are brought to join their parents for communion and a closing time of worship. Click on the button below to read more about Immanuel Kids. Part of our worship each Sunday occurs through singing praises to the Lord. Calls to sing new songs to the Lord are all throughout Scripture and we see music as a way to express our thanks to God for all he has done. 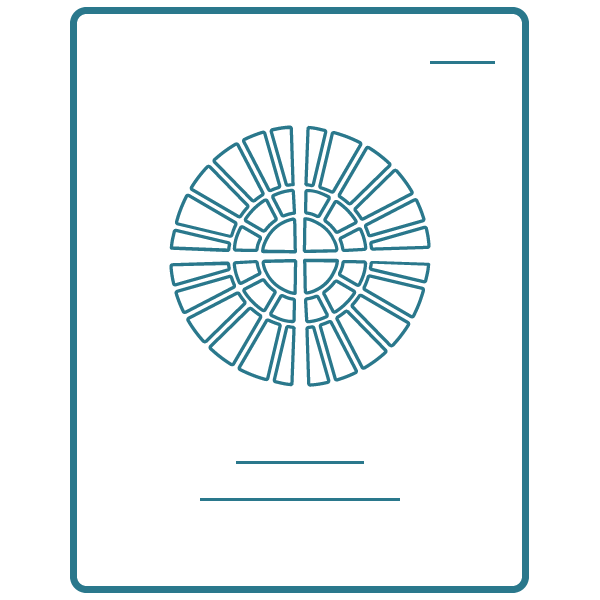 In the Anglican liturgy there are four weekly prescribed readings from the Bible. One from both the Old and New Testament, a Psalm (which is read together as a congregation), as well as a reading from one of the four Gospels. For thousands of years the church was exposed to God’s word principally through the spoken voice. We embrace the richness found in the hearing of God’s word and hope that through the reading and listening of Scripture each Sunday the Lord will transform our hearts and minds to be more in-line with His. We partake in Holy Communion (also called the Lord’s Supper or Holy Eucharist) every Sunday. Jesus commanded this sacrament for the continued remembrance of the sacrifice of his atoning death, and so that we may receive strengthening and refreshing of our souls by the body and blood of Christ, and of the love and unity we share with other believers. Look through an example bulletin for our Sunday service. 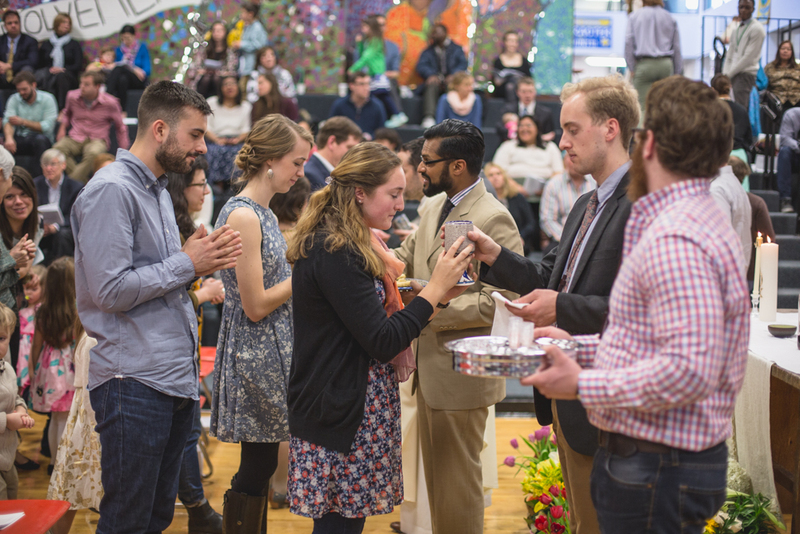 Learn about the meaning behind Sunday liturgy!